A kitchen is the heart of a home. It is the place where we spend time preparing meals, talking, eating and gathering. If you’re remodeling, why not design your kitchen for a lifetime of use? The most functional kitchen designs are L- and U-shaped. In designing a floor plan, allow 30 inches to 40 inches of space for clearance in front of the refrigerator, stove, cooktop and oven. 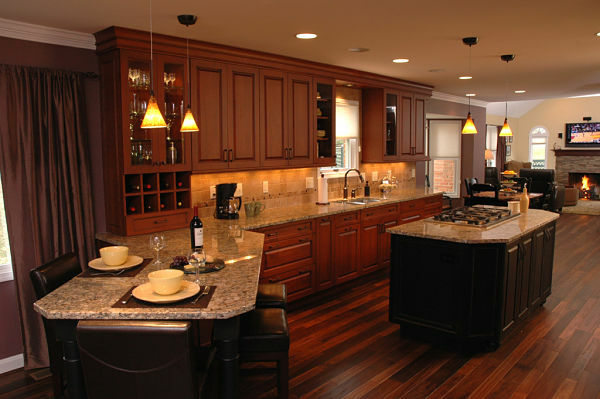 Kitchen aisles should be 42 inches to 48 inches wide. This is an optimal space for cooks but will also accommodate a person who uses a support for walking. Proper lighting is essential for work areas. Use dimmer switches to adjust lighting for every user. Lighting should limit glare and light switches should be easy to operate. Choose switches with large, flat panels. Install cabinet lighting to easily view contents. 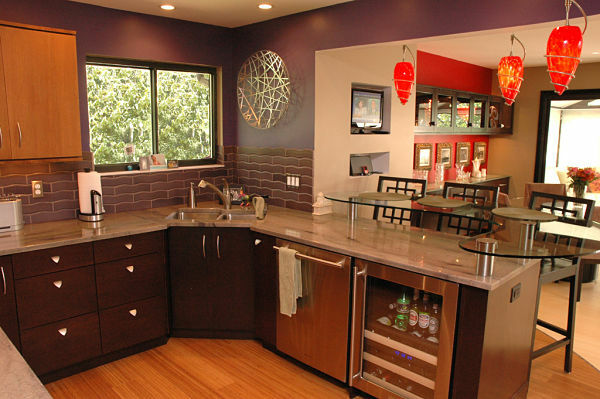 Contrasting colors can be used as a visual aid in the kitchen. When used on a backsplash as a border and as a trim on a counter edge, contrasting color can help define where a surface begins and ends. It will also aid dimensional vision (i.e., depth perception). Slip-resistant and non-reflective flooring products are essential to a safe, functional kitchen. Consider matte finished wood or laminate flooring, distressed wood, textured vinyl, soft ceramic glazed tile or slate flooring. When purchasing appliances look for cooktops with controls on the front or side, never on the back because you can be burned when reaching. Drawer dishwashers make loading easy and you may want two for convenience. If you plan to add space for laundry to the kitchen, use a front-loading washer and dryer placed side-by-side rather than stacked. Locate appliances where everyone can reach them. Mount wall ovens side-by-side rather than stacked. Elevate them so that they are about 30 inches above the floor. Locate the microwave oven 24 inches to 40 inches above the floor to avoid reaching and for easy removal of hot food and dishes. 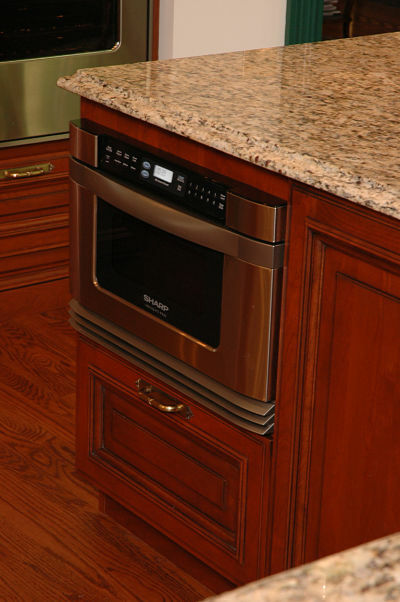 Place the cooktop and ovens close to each other and the sink to minimize lifting of heavy pots and baking pans. 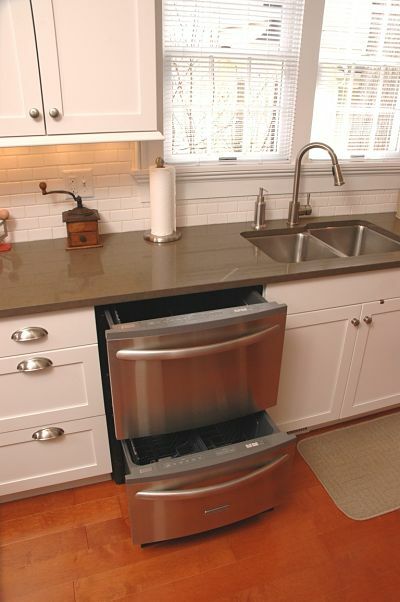 Use kickplates to elevate appliances 6 inches to 12 inches above the floor to avert back strain and bending. 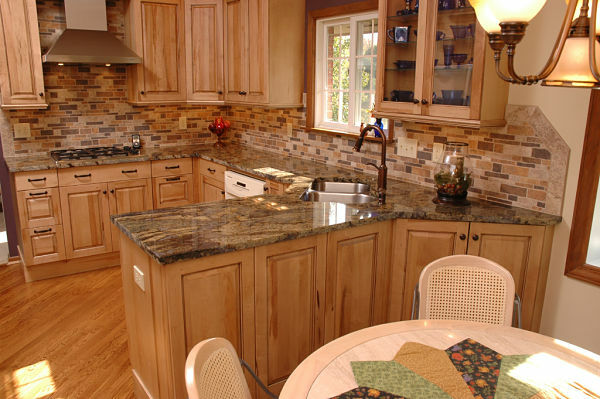 Counter heights should be 36 inches or more above the floor and counters should be designed for residents of the home. 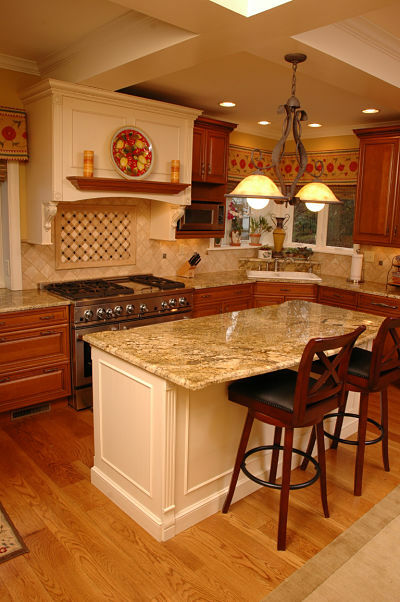 When possible, counters should have long, unbroken work surfaces. 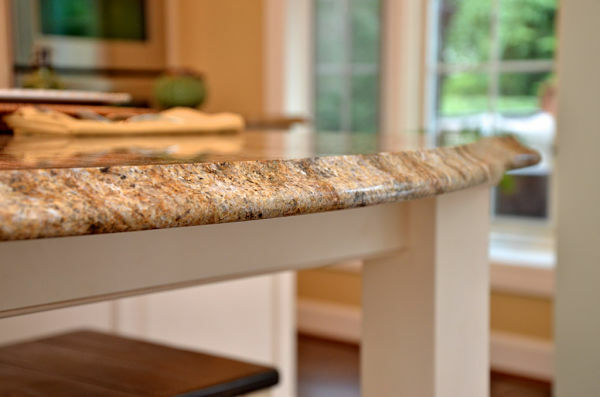 Avoid sharp edges on the ends of counters, islands and peninsulas. Pullout counters can be placed under a wall oven or microwave for easy transfer of dishes. 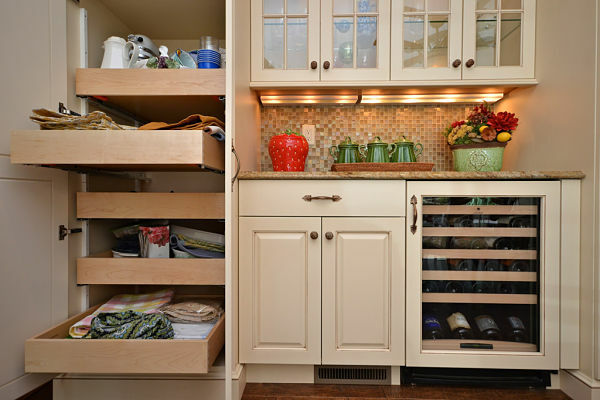 Bring wall cabinets to counter height or use large, deep drawers with pullout glides for storing dishes. Rollout shelves ease access to the contents of cabinets or pantries. 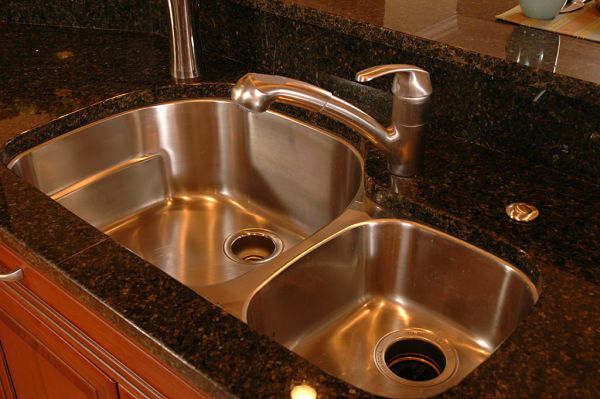 Use lever faucets in sinks. To test the ease of operating a faucet, try to turn it on with your fist. Use anti-scald devices to regulate water temperature. 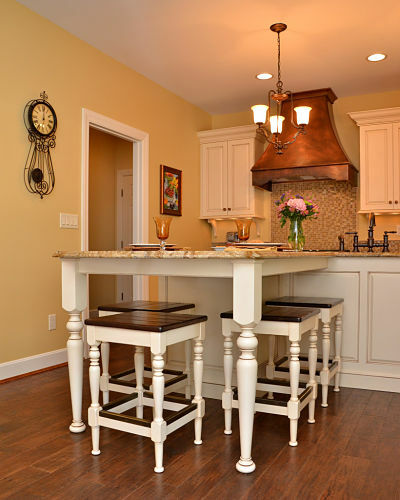 Look for adjustable height seats to use for counter seating rather than stationary stools and chairs. Revolving seats will also add comfort for diners. Over a lifetime we change. There are times when we have active lifestyles and times when we slow down. For those with children, there are times when then house is full and then the nest empties, only to have children return home with grandchildren in tow. Consider ‘Universal Design” features in your remodeling plans to prepare for life’s many changes.